First off, lunch from yesterday! 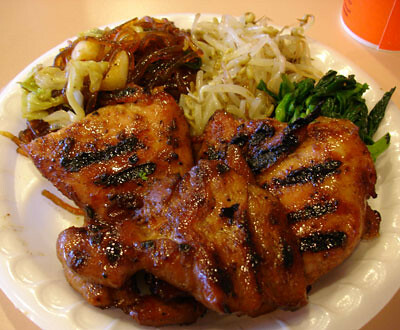 We met at the UH Campus Center and ate at Yummy’s Korean BBQ. I got a MINI bbq chicken plate. Yes, people, that there is a “mini” plate. People here eat so much frickin’ food that you can now buy a “mini” plate of too much food for just $6.95. Seriously, when did we get to be such porkers? I was too scared to think about what a full size plate looked like. I skipped the rice to get an extra veggie side. I ended up getting chop chae (the noodles), bean sprouts, and choi sum. Veggies at Yummy’s is really good. I think I’d put them second behind Gina’s sides. 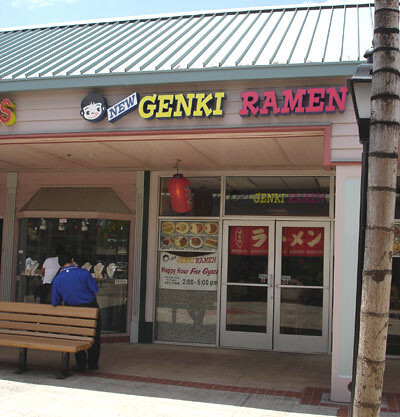 With this rather sobering news, I decided to fill the prescription in Mililani Town Center, where I knew there was a ramen shop. I dropped it off and headed over to Genki Ramen. I decided that I was getting into a miso ramen rut, so picked something new and ordered their Mabo Tofu Ramen. I left my brain at the allergist’s office and realized I was sitting in a cash-only restaurant with only a dollar in my purse, so I had to tell the waitress to hold my table while I went to go get more moolah. When I came back, my ramen was waiting for me. I really enjoyed this! 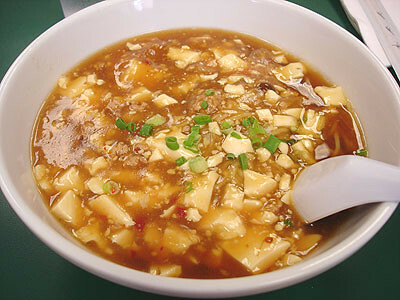 It tasted like mapo tofu yet still had a ramen-y soup taste to it. It was slightly spicy and the noodles weren’t too thick. Ever since I ate at Kiwami Ramen I’ve found that I don’t really care for fat noodles too much. As I was eating this reporter guy was going around talking to people about the Town Center, so after I was done I gave him my card to come read my blog. This was only the second time I’d eaten at Genki Ramen but the first time was so long ago I don’t remember what the food was like. It gets two thumbs up from me now!